Creamed or clear, still in the comb, or dispensed from a charming, squeezable plastic bear, one feature of honey is certain: It’s as sticky as it is delicious. Enter powdered honey, which is easy to make at home, retains the sweetener's nutritional value, and is quickly catching on as a new form for the kitchen staple. Long used in Korea, powdered and granular honeys aren't particularly common in the United States. 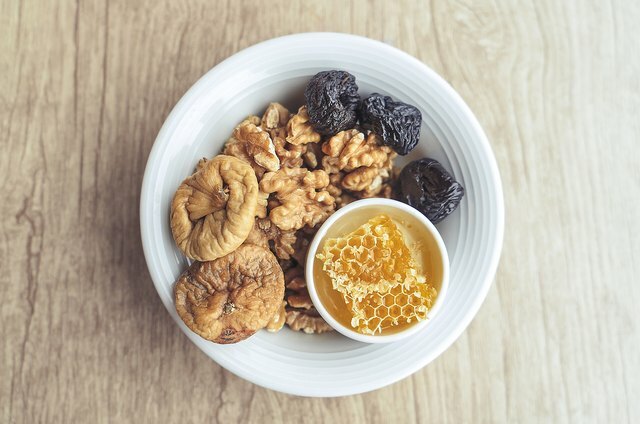 You can likely find them at a health food store, but store-bought versions of dry honey are typically prepared with some kind of stabilizer, like dextrose or maltodextrin. As an alternative, guarantee yourself an additive-free product by transforming wet honey into a powder as your next DIY kitchen project. With a basic dehydrator, it's a super simple process, and the sweetener becomes even easier to use and store. There are some great benefits to having powdered honey on hand, and you don’t need a commercial-grade honey dehumidifier machine to concoct this item at home. You will, however, need a dehydrator or a team working in shifts. 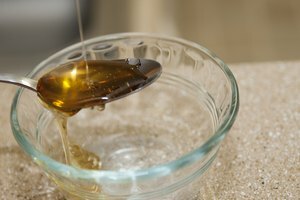 Drying honey in an oven, which must be done at its lowest heat setting to avoid burning, can take up to 24 hours. Unless you're experienced with long projects that require an oven, it isn't really recommended (just watch one of those Pop Tart toaster fire videos for a hint of what sugars can do in a heating source). Drying honey in a dehydrator is simple—just save the process for a dry day, when the honey is least able to absorb atmospheric humidity. 1. Cut parchment paper to fit your dehydrator’s rack. 2. On the parchment paper, slowly spread honey in as thin a layer as possible, about 1/8-inch thick. 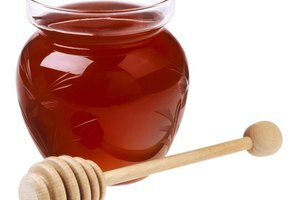 Leave a wide margin around all sides, as the honey is liable to spread. 3. Place the rack in your dehydrator at 120°F. 4. Check your honey periodically by carefully trying to snap off a corner. 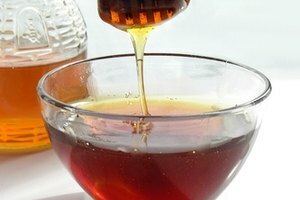 When your wet honey is thoroughly dried, it should be brittle and easily break apart. 5. Remove the rack from your dehydrator and allow the honey to cool. 6. Once cool, break the dry honey into pieces and immediately grind it in a blender or food processor to your desired consistency. Don't let the honey sit for too long, as it can begin to reabsorb moisture from the air. 7. Transfer your powdered honey to an air-tight container and store it in a dry location. This is key, because poorly stored honey can absorb moisture from the air, rendering its antibacterial properties—and all your effort!—moot. Congrats on being in possession of additive-free, TSA-ready powdered honey (or granular, if you went that route). Besides chucking the jar into your carry-on luggage just because you can, the sweetener comes in handy. It's great for subbing out cane sugar when baking, particularly if you're working with liquid-sensitive recipes. Obviously, powdered honey also makes for cleaner tea time, which is useful if you're preparing said tea in an office kitchen. Furthermore, in dry form, honey now works whether you take your tea hot or iced. You might have noticed that wet honey just kind of hangs out at the bottom of cold beverages. In powdered form, it'll dissolve. First and foremost, if you're concerned that dehydrating honey will kill off its antibacterial and antioxidant properties, don't be. 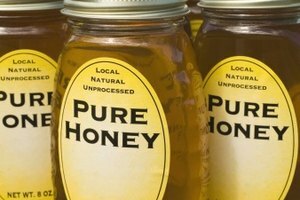 The National Honey Board reports that there is no difference between raw and processed honey in nutrient content or antioxidant activity. Second, transforming honey from wet to dry won’t do anything to extend its already formidable shelf life. 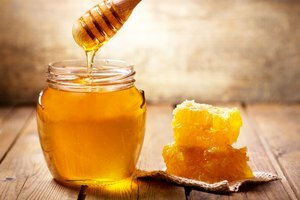 Despite its viscous texture, honey naturally contains very little moisture, so the sweetener is already an environment in which food-spoiling organisms can’t survive. However, if you’re opposed to crystals forming in your honey (a natural consequence of age, high dextrose content, and/or temperature changes) or a darkening in its color (simply a result of time), making dry honey is yet another benefit to putting your dehydrator to use. 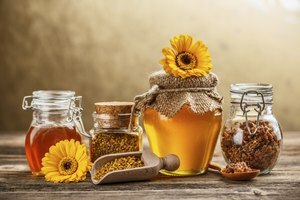 And if it all sounds like a lot of effort, keep in mind that honey is naturally sweeter-tasting than cane sugar, Nutritional Outlook magazine points out. You can use less of it than you would the regular stuff, which means your powdered honey isn't just easy to handle, it also nets you a bit less sugar overall in your treat of choice. Sweet. Susannah is a freelance writer based in Berlin. Her work has appeared on The Cut, Fast Company, SELF, and The Strategist, among others.